Downtown streets cater to a high volume of local and visiting pedestrians and should reflect a high level of amenity and quality of care. 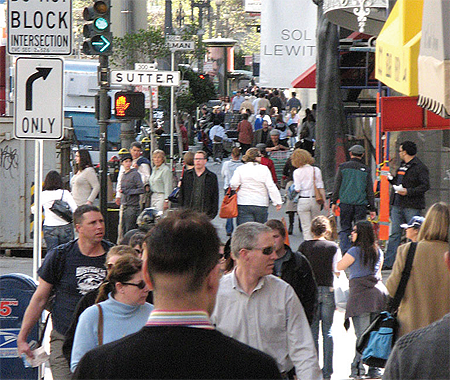 Downtown commercial streets such as Grant or Kearny Streets handle high pedestrian volumes and high levels of activity throughout the day. 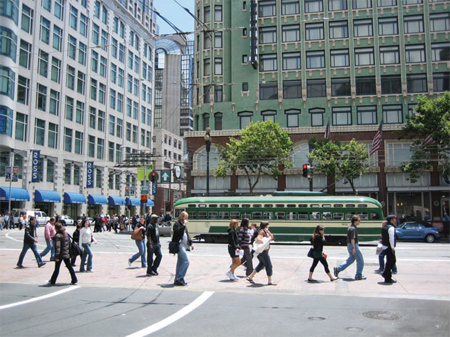 Due to their importance, visibility, and high levels of pedestrian activity, downtown streets should have generous sidewalks, high levels of pedestrian amenities, and distinctive, formal design treatments. 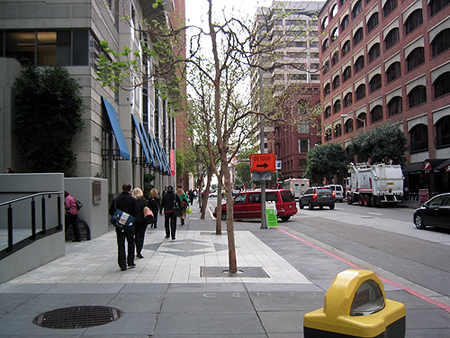 Streetscape guidelines for downtown commercial streets are described in the Downtown Streetscape Plan, adopted in 1995. 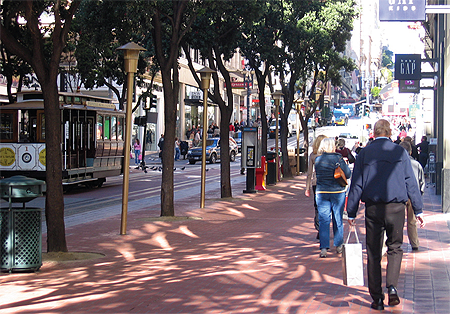 Downtown Commercial streets should follow the guidelines in the Downtown Streetscape Plan.